If you’re looking to update your home, but don’t want to dip into the emergency funds, or have just moved into a new house and wish to make it your own, a new set of internal doors could be one of the most expedient and affordable ways in which to transform your home, without compromising on comfort or space. Here, you’ll find a range of black internal doors that are popular with homeowners wishing to attain a minimalist décor with a simple, but effective colour scheme. It’s a given that all doors, particularly wooden doors, will wear over time, so if the internal doors in your home have been sitting dormant for decades, chances are they might have lost a lot of the character that they once held. As homes change in temperature over the seasons, wood can also warp and crack, and if your doors are old enough, it might simply be more cost-effective to splash out on a brand new door than to attempt to fix the existing door. These elegant, striking black internal doors are constructed from a variety of the most durable and attractive woods in a range of both traditional and more adventurous designs, but they have all been pre-finished with the same sleek black stain, which will lend even the most traditional homes a touch of modern sophistication. Our personal favourite happens to be the Amsterdam three panel black interior door. It’s sleek lines make a real impact, and turn your doors from functional to fashionable. 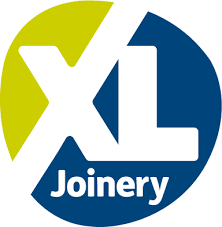 As they are pre-finished by us, they are also ready to hang right from the warehouse, though we would recommend asking a professional joiner to help you if you’re not comfortable with the job. All designs are based on the style of a standard flush internal door and are available in a variety of glazed options. So, whether your home requires a little extra light and space, or you’re going for a more segregated and cosy feel, there are options available to suit. You could also mix and match different styles to give your home a more eclectic and quirky visage. These doors, which are also available as FD30 approved fire doors, are suitable for any internal situation, be it a home office, living room, dining room or bedroom. 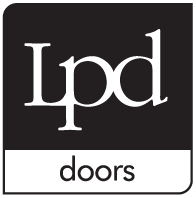 If you have any questions regarding these, or any other internal doors in our range, please don’t hesitate to contact us, impartial advice on finding the right doors for your taste and budget.